My husband is a treasure hunter. Our home is filled with all sorts of strange and unusual artifacts from his many trips junking. Among his numerous acquisitions include lamps and bottle openers made from the hooves and legs of deer (a little creepy), men’s hat stretchers and bowtie collections (precursors of upcoming fads I am sure) and a tiny scissor collection (certain to be used by our aging arthritic hands). Years ago, he brought home a dusty box filled with old letters and photographs that were pilfered from the remote third floor attic of an old house in Lexington awaiting demolition. “Another box of old stuff to clutter up my house,” I muttered to myself, rolling my eyes. “Why are you always bringing that stuff home?” I asked. The dust scattered and floated upward as he lifted off the lid and began to sort through the contents. “I just think it’s sad” he began, “for these things to be left behind. It’s like losing a piece of your soul”. For years, the box sat all but forgotten in the book shelf in our living room. Occasionally, we would pull a letter or photograph from the box. Faces we didn’t recognize stared out at us across a span of over 60 years, sepia colored images with withered edges. The folded letters were perfectly creased, with a drift of elegant script across paper as transparent as a butterfly’s wings. Eventually, the box became our little detective project as I began to type the letters and place the information chronologically into a notebook. Most of the contents were love letters dated from the 1920’s and 30’s. Several photos captured a lively, bright-eyed young woman smiling seductively for the camera. One large 8’ x 10″ photo was labeled simply “The Doctor”. The terse writing from his corresponding letter hinted of a broken heart. Another photograph, more recent than the others, showed a serious-faced little girl wearing coke bottle glasses. There was also a letter in sprawling childlike script which began, “Dear Daddy, I fell and broke my glasses…” We assumed the child in the letter and the photograph was one and the same. The bright eyed young woman, Lyndal Denny was pursued by many arduous suitors including the illustrious Doctor but none professed his love more eloquently than the one who signed his letters, simply “Red.” Elmo “red” Leonard had already graduated from college and worked in Lexington North Carolina in the family mercantile business. Passionate and exuberant, his writing spoke of many things, but mostly of his adoration for Lyndal. Some letters began with “Girl of my Dreams.” Then “How good a sweet kiss from you would be!” declared love struck Elmo. The poor guy was passionately, hopelessly and whole-heartedly in love with Lyndal. Fast forward nearly ten years after my husband’s discovery of the lost letters to 1992. My husband, Perry and I were ecstatic, expecting our first child, however there was one problem. As a public school art teacher, Perry associated every popular name with an unruly middle school student. We finally settled on two uncommon names: “Brennen Scott” for a boy and “Lyndal Claire” after the young woman in the letters. As my due date grew near, we decided on a whim to try to locate Lyndal’s former home by the address listed about an hour away in the town of Burlington. We found the street but no corresponding house number. A little ways down the street, an elderly gentleman was mowing his grass and we stopped to ask if he knew of the family. He hadlived in the town most of his life, he said, and while he was unsure of the whereabouts of Lyndal, he remembered her sister who still lived in town. Imagine our surprise at learning Lyndal was alive and well, living with her daughter in nearby Durham. We were thrilled when months later we would actually meet her and return her letters. We felt like we knew her intimately; we had read so many of her thoughts and knew of her adventures yet we had so many questions. Did she marry Elmo? What was her life like? Was she happy? We drove to the retirement community near Duke University where Lyndal and her daughter Harriet lived in a small townhouse. At eighty-nine years old, Lyndal was no longer the same beauty in the photographs but she was just as vivacious. The blue chiffon scarf tied neatly around her neck echoed the same azure of her merry eyes. Her silver-white hair and clear mind shined with the brilliant patina of old age. We were welcomed into her little home filled with books and fine antique furniture. She graciously accepted the return of her letters as Perry explained how he found them in the attic. Lyndal was no child of privilege. Her parents and four siblings moved to Burlington from eastern North Carolina in the early 1900’s and her father died soon thereafter. Although her mother ran a boarding house and worked as a seamstress, she was unable to provide for her two oldest daughters. Ultimately, she had no choice but to send them to an orphanage. Both girls excelled in school. What could have been a horrific experience was made better by the girls having each other. Their mother sewed clothes for them and visited when she could. Lyndal was smart and ambitious. She worked in the school’s administrative offices and eventually earned a scholarship to Chowan College. While she dated and undoubtably flirted with many young men, Lyndal was eventually wooed by Red, a man with bright auburn hair and a grand sense of humor. She was the love of his life and they were happily married until his passing some twenty years prior. Their only daughter Harriet was indeed the little girl in our photos. She eventually became the head reference librarian for the Duke Divinity School. Still wearing thick coke bottle glasses and a wan smile, Harriet sat quietly beside her mother. She had not changed much either over her sixty years. Weeks after we met her, I gave birth, not to a little Lyndal, but to a healthy baby boy. Our son, Brennen Scott turned twenty three last April. We formed a friendship with Harriet and Lyndal, sending cards at holidays and making the Sunday afternoon drive to the beautiful Duke campus, going out to eat and sharing stories. Lyndal Denny Leonard passed away just four years after we met face-to-face. She was just shy of celebrating her 100th birthday. Harriet followed her mother unexpectedly the following year. It’s been over twenty years since we returned those letters to Lyndal. Except when there are old dusty boxes cluttering my living room , I am thankful for my husband’s penchant for rescuing lost antiquities. He reunited three souls that day in returning the letters and photographs to their rightful owner and gave us the gift of friendship of two wonderful ladies we would have likely never known. I am thankful “time” speaks to my husband in the way it does. I joke that he’s never met an antique he didn’t like. Hopefully, he’ll still like me when I’m a hundred years old, too. PS My husband Perry makes collages from old photographs and ephemera. His work can be seen at http://www.perryboswell.com. I love this story. Wow! So beautiful! My husband and I also collect antiques and anything very unique. I love old folk art jugs. I started collecting them back in the early 1980’s. I am soooo glad I found your blog. I enjoy reading it so much!!!!! Thank you Deb! I am so glad you enjoyed it. Do you live near North Carolina? Those jugs are very collectible here. My husband has gone thru various phases but mostly collects arts and crafts pottery. I appreciate your reading and taking time to comment. Once again you have reminded me of times gone by. A friend and I used to play in her grandmother’s attic. It was filled with trunks full of clothes, hats and shoes. We dressed and pretended to be grown up. It was during WWII and her daddy was a pilot in the war. He later was killed in action and her grandmother had a gold star in her front window. Now that I’m 80 years old, it is good to have memories that I enjoy remembering. Thanks for all your stories and believe me you will get much joy in remembering too. Thanks for reading and commenting Emma! Alzheimer’s disease runs in my family and there’s always a chance one day I won’t remember. 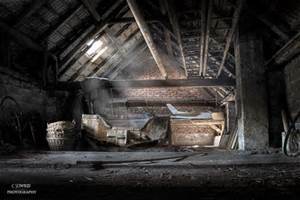 Your memories of playing in the attic sound like a movie. Happy remembering to you my dear!